To mark the beginning of the new year, Sports Illustrated’s “This is Your Brain on Sports” podcast proposed a number of resolutions for everyone involved in the world of youth sports. In this episode, Sam Sommers, the show’s host, spoke with Megan Bartlett, the chief program officer at Up2Us Sports, a nonprofit organization dedicated to making sure young athletes across the country have access to great coaching. Sam and Megan gave a lot of great advice, so we thought we would share their insight in this blog. The best coaches don’t just teach kids about sports; they teach them about life. The reality is, most young athletes aren’t going to go pro. Being able to shoot a perfect layup is a nice skill to have, but it won’t do much for you when you get a job at an advertising agency or an accounting firm. However, the determination and discipline necessary to learn how to consistently make a layup are attributes that will take you far in both your professional and personal life. In the podcast, Megan encourages coaches to focus more on “life skills” along with physical skills. Teamwork, smart decision making, and effort should be praised just as much as scoring points. Another resolution that goes hand in hand with this is question asking. Instead of simply telling young athletes what to do, coaches can foster critical thinking skills and self reliance by asking questions. For instance, if a player gets the ball stolen from her during a soccer game, a coach can ask, “What do you think happened out there?”. This way, kids learn to solve their own problems. 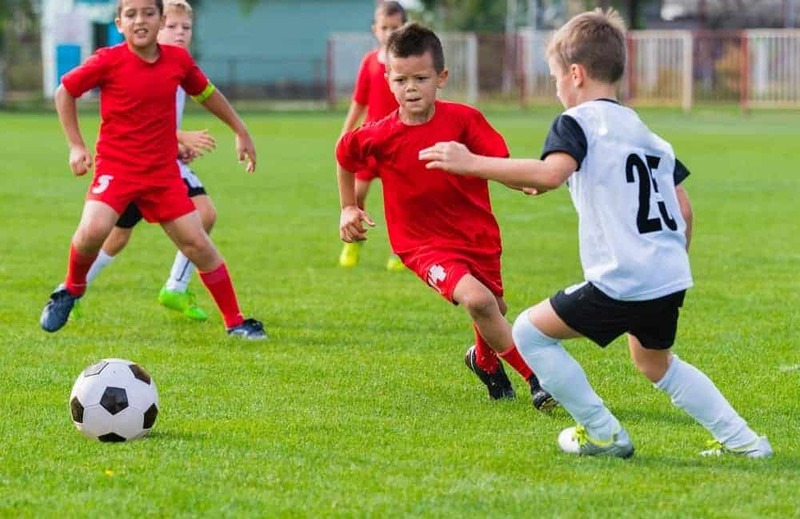 According to Megan Bartlett, parents should focus less on whether their children’s team will win and more on what lessons they will learn from participating in sports. 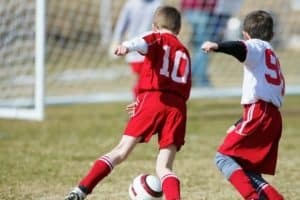 Rather than trying to sign their kids up for a team that is likely to dominate the league, parents should focus on getting their children comfortable with the idea of competition. It’s about finding a midpoint between full on, cutthroat competition and no competition at all. Additionally, parents should know that it’s OK to ask for more from their kid’s sports league. There is nothing wrong with requesting a coach with training or reporting a coach for yelling at children. Ultimately, the only way to improve a league is to give feedback and be engaged. When it comes to youth sports, over-specialization is not a good thing. Young athletes should constantly be trying new sports and new positions to find out what they excel at and what they enjoy. You don’t have to be the best player on a team to have a great time and to learn new skills. Even sitting on the bench for extended periods can be an important life experience. Trying a little bit of everything is a great way to grow as an athlete and as a person. Here at Rocky Top Sports World, we host a variety of Smoky Mountain sports leagues, tournaments, and events, so young people can experience a wide variety of athletic opportunities. With indoor and outdoor facilities equipped for football, basketball, soccer, volleyball, lacrosse, wrestling, martial arts, and virtually any other type of sport, we have everything you need to play like a pro. Check out the Rocky Top Sports World Events page to see everything going on at our athletic complex this year! This entry was posted in Trends in Youth Sports on January 7, 2016 by Jason Fishman.